Winter flights depart Talkeetna every day at noon. The Sheldon name is long synonymous with Talkeetna bush flying. 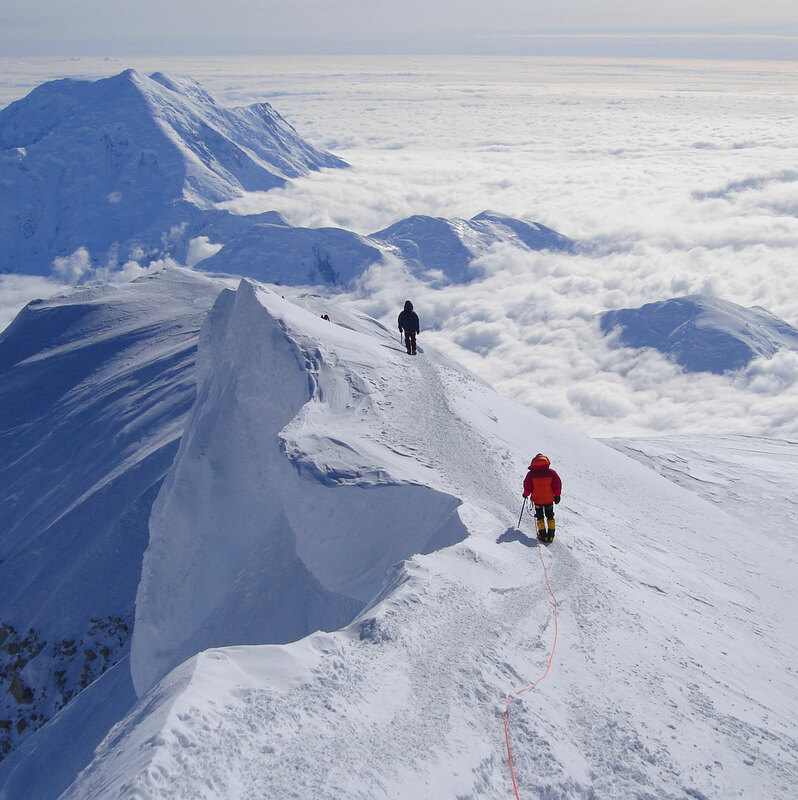 Owner Holly Sheldon Lee grew up making flights with her father to assist Denali climbers and those looking to climb the Alaska Range. 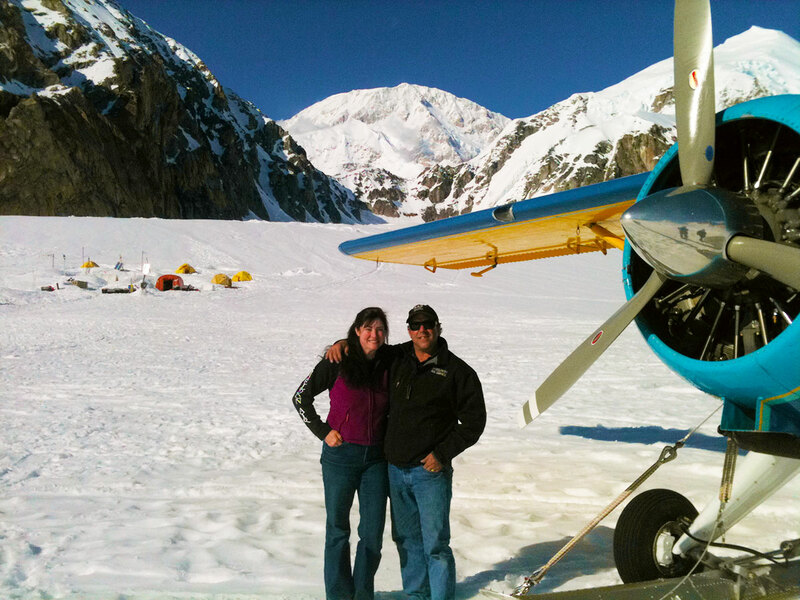 Owner and head pilot David Lee has been flying the Alaska Range out of Talkeetna for over 30 years. We are pleased to offer you safe and experienced air taxi, scenic flightseeing, and glacier landings services from our home of Talkeetna. As of Jan 1, 2018 a 3% sales tax was added to flight cost. We can also fill charter flight request outside of normal operations. We do a lot of bush flying and hauling to remote places in the area. Talkeetna might be where we lay our head at night but Denali is just as much home to us.The two are inseparable. It could easily be said we spend as much time there, as in our own backyard, and only being a 45min flight away it pretty much is our backyard as well. 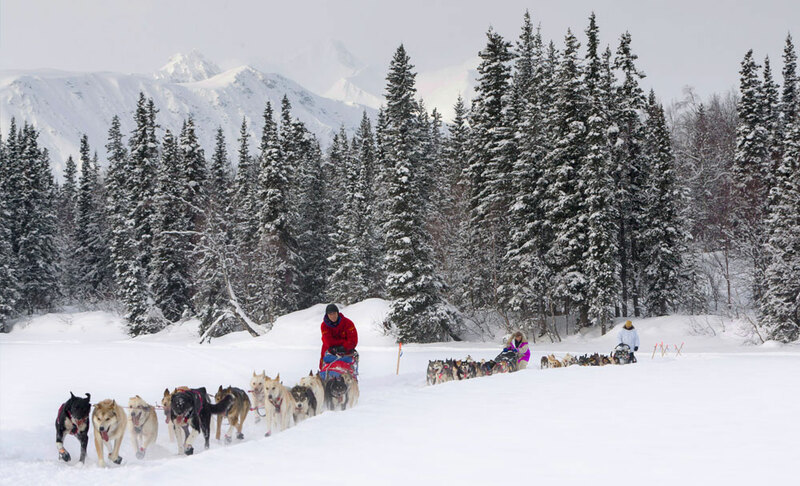 Part of what makes Denali so magical for us is the people it allows us to meet. We have made many lasting friendships and have many grand memories thanks to that mountain. The crew at Sheldon Air Service is ready to accomodate you or answer any questions you may have.